Sapphire Bloom | Giving… Transforming…. Educating…. Families….. Thank you for your interest in Sapphire Bloom. Conceived in 2010, founded in 2013, and revamped in 2016, the goal at SB is to empower women to be transformed through education about their bodies- especially during pregnancy/childbirth/postpartum. We want women and their families to be the best they can be and we promote this through education, a listening ear, referrals and holistic care with bodytalk treatments!! Where does the name “Sapphire Bloom” come from? The original founders were both Sapphire birthstone babies and have loved everything to do with childbirth for over 35 years combined. Nothing in the world can compare to a woman who has been transformed and now understands why her body does what it does, how it works and what is considered normal for her. Watching this transformation is as beautiful as watching a flower bloom, hence the name…. Sapphire Bloom. 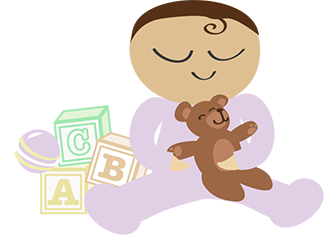 Sapphire Bloom is grateful to be providing Prenatal Education taught by a Certified Nurse Midwife in the state of AZ. We currently are offering both childbirth education and postpartum education in a private to semi-private atmosphere. Should you want a private class, please feel free to contact us to set up a time when you are available. Bodytalk is a modality of massage therapy that assists the body in reducing stress and reestablishes flow of communication to help bring the body back into balance and health. Roxanne has been a Certified Practitioner since 2003 and on many occasions throughout the year, she provides treatments via bartering or by donation!! Mention you saw our webpage and receive a wonderful discount. We will be offering for sale online: reusable breast pads, wet bags, handbags and baby items including blankets/quilts. Thanks again for checking out our page and we look forward to working with you in the future!